2016 Dodge Grand Caravan SE 1-Owner vehicle with 50,000 miles. It comes with Stow n Go option and it has been fully serviced by our service department. Please look at all the pictures to see how nice this van is. Check our inventory we do have more vans in stock. This Dodge includes: ENGINE: 3.6L V6 24V VVT FLEXFUEL (STD) Flex Fuel Capability V6 Cylinder Engine QUICK ORDER PACKAGE 29E SE Multi-Zone A/C A/C Privacy Glass Floor Mats Rear A/C TRANSMISSION: 6-SPEED AUTOMATIC 62TE (STD) A/T 6-Speed A/T BLACK/LIGHT GRAYSTONE, CLOTH LOW-BACK BUCKET SEATS Cloth Seats Bucket Seats *Note - For third party subscriptions or services, please contact the dealer for more information. * CARFAX BuyBack Guarantee is reassurance that any major issues with this vehicle will show on CARFAX report. 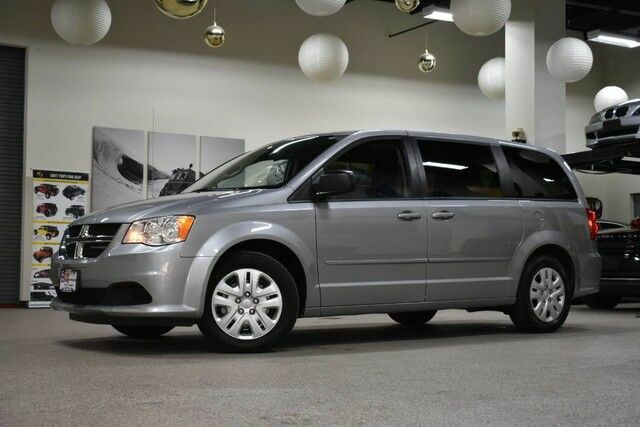 This gently driven vehicle has been well-kept and still has the showroom shine.